"People are the virus. And we are the cure." 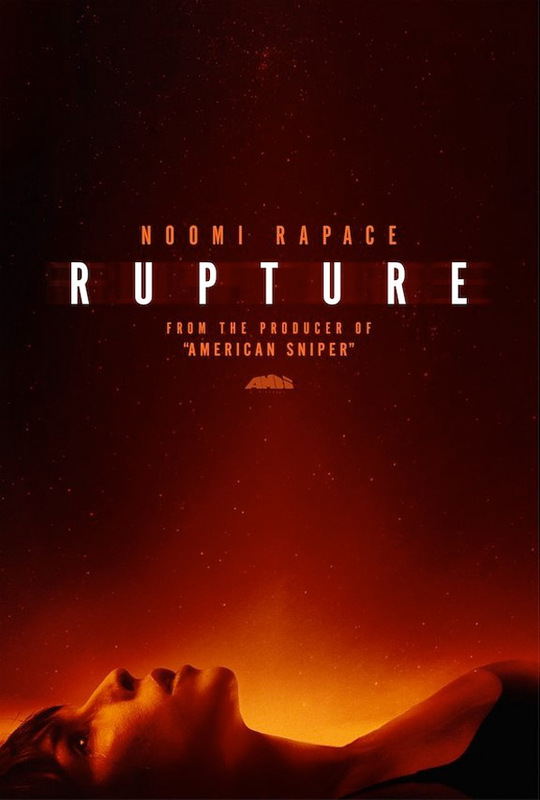 Signature Entertainment has debuted an official UK trailer for a very freaky abduction horror thriller titled Rupture, featuring Prometheus star Noomi Rapace as an "ordinary woman" and mother of a boy who is randomly abducted on a highway. She wakes up strapped to an operating table and is forced to undergo a series of terrifying psychological experiments. The film also stars Peter Stormare, Kerry Bishé, Michael Chiklis, Ari Millen, Lesley Manville, Percy Hynes White and Morgan Kelly. It's made by the same filmmaker who made Secretary over a decade ago. This looks very stylish yet also creepy, almost like Saw with a psychological twist. Horror fans should watch this. Young mother Renee (Noomi Rapace) has her life thrown into chaos when she is randomly abducted, drugged and taken to a secret lab facility. As her captors traumatically experiment on her, Renee must discover why she was chosen and fight to escape her prison. Rupture is directed by filmmaker Steven Shainberg, of the films Hit Me, Secretary, and Fur: An Imaginary Portrait of Diane Arbus previously. The screenplay is written by Brian Nelson (Hard Candy, 30 Days of Night, Devil) and Steven Shainberg. It premiered at the Fantasia Film Festival earlier this year, and also played at Sitges and the L'Etrange Festival Paris. Signature will release Rupture in the UK starting November 4th, but no US release has been set yet. Lame. Is this from 2006?